Rocking up at Ardmore it was plain to see, even at 7am, that the day was going to be another scorcher, and test for the competitors equipment. Hanging around awaiting Ashley with the keys going through in my head, the order of the day and watching the show cars slowly roll through the gate, I couldn’t help reflect a little over the past couple of years and be thankful of the support the SPL scene has had from the amazing sponsors of NZ dB Drag. 4 N Rotary, for not only including us in their lineup in the many shows they hold each year, but also for allowing our competitors free entry into each and every show. Digital Designs, for the many prizes they have assisted with, and other background support they have provided over the years. 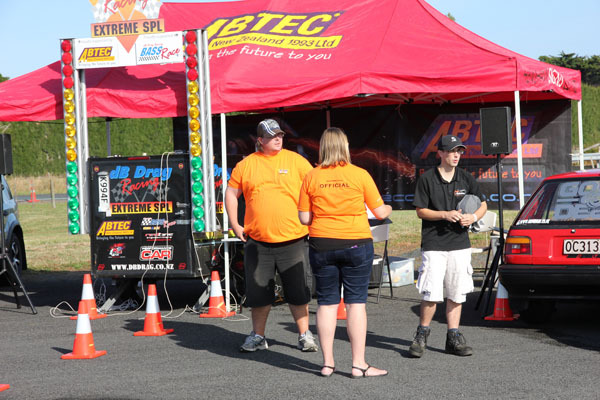 Abtec New Zealand, lastly and most importantly… To Abtec for being the driving force behind NZ dB Drags, for the many countless hours, financial contribution, faultless dedication, and active participation in the SPL Scene in New Zealand. Without the amazing support we receive from the above, and the many others that strive to keep this scene alive and thriving, we would not have the incredibly diverse and for the most part, community minded scene we have today. Watching the competitors all coming through the gates at the same time was very impressive to say the least, all filing in and quickly filling to capacity, the area we were allocated. 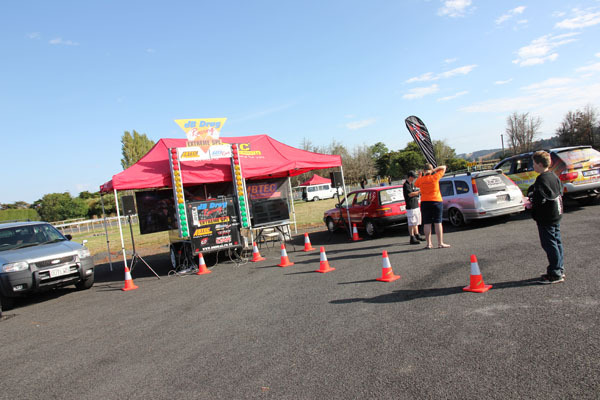 With setup complete, and the competing cars numbered and marked ready to hit the lanes, we were ready to go. 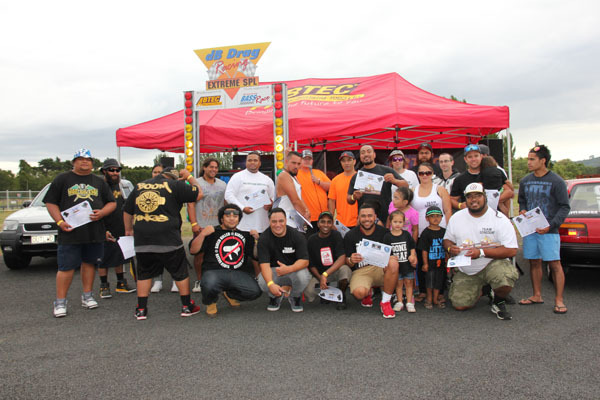 The morning went like clockwork through the Kiwi classes portion of the competition, with everyone moving into and out of the lanes smoothly, racking up some very impressive numbers at some equally jaw dropping frequencies, with no less than 4 competitors meeting and exceeding the 150dB mark. Once we concluded the Kiwi classes we let everyone take an hour break to allow them to see the show while we correlated the data from the mornings competition. 12:30pm we began the final 2 classes of the days competition, Sounds Alive and the Extreme Bass Battle, both classes exclusively music oriented. 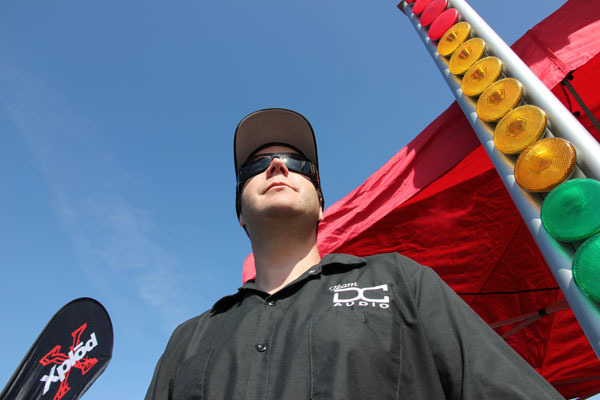 These 2 classes have fast grown in popularity among competitors, and the crowd alike, drawing some good crowds, and allowing competitors to have a little fun in the lanes. Sounds Alive is a class where a pre determined track (determined prior by the Head Official of NZ dB Drag) is used, and the car to remain sealed (windows and doors closed), this is an interesting class as the competitors don’t know the track before it is played for the first time on the day. For this class we had again, no less that 4 competitors hitting in the mid to high 140dB range. Extreme Bass Battle, Generally the last and most entertaining class of all, for all. Extreme Bass Battle is another exclusively music oriented class, with the differences of allowing competitors both, the choice of their own music track, and allowing them the freedom of having their windows up or down. 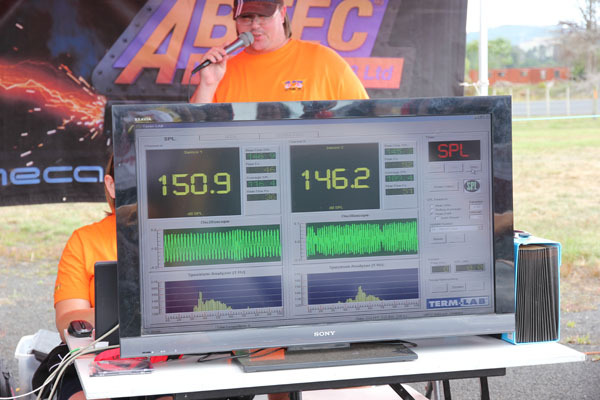 This class generally yields higher decibels as competitors are able to play a track better suited to the tuning of their system, and as such we saw 3 competitors break the 150dB mark, and 1 competitor so very close on its heels. With the competition complete, we set hard at work correlating the numbers and sorting out the class winners, once done, we again gathered everyone back at the competition lanes. This time I did something I had not yet done at a soundoff, I took place in front of the crowd to hand out and shake the hands of the many competitors, and amazing honor and great way to put a close to such an amazing day for me. In its entirety, I have to say what an amazing day, spend with awesome people. 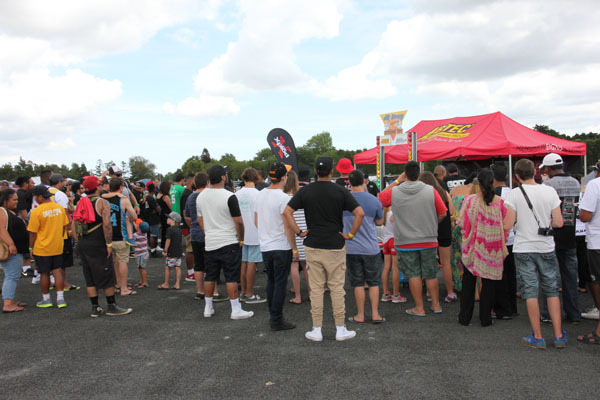 Please head on over to www.dbdrag.co.nz for results and picture coverage of the event. Please allow me to take a little time to thank a few people for whom this event would not have been the huge success it was. 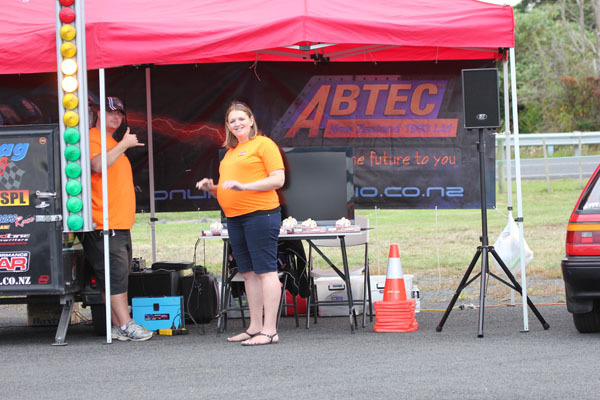 Firstly Ashley Madd Bass Burrell… again and again, the amazing dedication you put into NZ dB Drag, the hours of your life, organization, and the countless miles you travel each year to keep the scene alive and thriving. Thank you so very much. To the others that helped on the day, thank you so much for all of your help! Without your assistance, the event would most certainly not have run as well as it did… thank you to you all! And others that helped throughout the day, either with the setup, running, or breakdown of the days equipment. To Deirdere Thompson…. Now, At 8months Pregnant still sticking it out for the entire day to assist, with the running of the Termlab, and noting the scores, then filling in all of the certificates handed out on the day. Last but not least by any stretch…. YOU the true competitors, that have spent their hard earned money, and spent countless hours building their systems that provide the competitions with the hours of enjoyment. Without the commitment and dedication you show to your systems, and their growth, we would not have the amazing scene we have… thank you ALL!! Building a Home – What should I Pre-wire?